Below you will find some of my recent publications. Please see my curriculum vitae for a more complete listing. Also, some of my presentations and publications are available via my personal repository, codabox.org. Book Chapter Published in Creating the High-Functioning Library Space: Expert Advice from Librarians, Architects, and Designers., Marta Mestrovic Deyrup (Ed. ), Libraries Unlimited | 2017 | ISBN: 978-1-4408-4058-6. Technology is ubiquitous and all library renovations, except possibly for the most minor ones, will have various technological components to them. Most of today's librarians and library patrons expect a library to be technology rich and connected environments. This is especially true of newly renovated spaces in academic libraries. This chapter is not meant to be a comprehensive how-to, a laundry list, or a case-study. Instead it aims to provide some practical advice as well as some examples about different topics to consider when integrating technology into a library renovation. While not everything mentioned here will apply to all projects, especially smaller renovations, and there will likely be additional factors to consider based on local circumstances, the suggestions contain here should help frame the appropriate questions to ask and issues to investigate about when planning a library renovation. Conference Paper The Society for Imaging Science and Technology (IS&T)'s Archiving 2016 Conference, Washington, DC, USA, 19-22 April, 2016. In this paper, we explore the state-of-the-art for recommendations and best practices relating to long-term storage and preservation of audiovisual files. Without the proper support, audiovisual contents may become obsolete over time. Specifically, we examine file formats and metadata used in digital preservation of audiovisual resources. Additionally, we investigate the way these recommendations and best practices are integrated into three digital preservation systems. What's driving discovery systems? The case for standards. Conference Paper IFLA WLIC 2015 - Cape Town, South Africa, 15-21 August 2015. In efforts to offer the best access possible to users, libraries are increasingly interested in systems that better respond to user needs. Discovery systems provide a single-search interface to all library resources through a single index of content. A number of black box issues plague discovery at present; these could be remedied through the application of standards. Issues are related to the content that is indexed, the metadata that is provided, and the algorithms used to provide a list of relevant results. The profession should consider the adoption of the Open Discovery Initiative as a first step in applying standards to this sector. The proprietary algorithms in use are necessary, but vendors and content providers at the same time have an obligation to follow standards as a way of best addressing the black box issues that have arisen. Journal Paper JLIS.it: Italian Journal of Library and Information Science, 5 (2) (2014). This paper describes the process developed by Binghamton University Libraries to extract embedded metadata from digital photographs and transform it into descriptive Dublin Core metadata for use in the Libraries’ digital preservation system. In 2011, Binghamton University Libraries implemented the Rosetta digital preservation system (from Ex Libris) to preserve digitized and born-digital materials. At the same time, the Libraries’ implemented the Primo discovery tool (from Ex Libris) to bring together not only the digital collections in Rosetta, but also bibliographic holdings from our integrated library system and other sources. Currently, the Libraries are working with the campus photographer to preserve and provide access to 350,000+ digital images. Most of these images depict campus events, such as Homecoming, Commencement, etc. that are of historical and immediate social value to the campus community. These images are used widely in marketing and outreach materials, and on the University’s website. However, owing to volume of photographs, as well as to budgetary and other constraints, it is not possible to have library staff inspect the photographs and create a complete descriptive metadata record for each, so we needed to explore different options. Each of photographer’s images contains embedded metadata (file format, date and time stamps, location, etc.) and additionally, many of the files also contain basic descriptive information supplied by the photographer, including his name, keywords and/or a short description. Using this basic metadata as a starting point, cataloguing and systems librarians at Binghamton University Libraries were able to create an automated process to reformat and enhance the available descriptive information, crosswalk it to the Dublin Core Metadata Element Set, and map keywords to controlled subject and location terms (including Library of Congress Subject Headings (LCSH), Thesaurus for Graphic Materials (TGM), Getty Thesaurus of Geographic Names (TGN), etc.) Following the initial set-up, the only steps requiring manual intervention are extracting and identifying new keywords, updating the mapping table, running the scripts, proofreading the Dublin Core metadata once it has been produced, and lastly, depositing the images and metadata into the preservation system. Using this collection as a case study, we will demonstrate how embedded metadata can be upcycled in order to produce complete descriptive metadata records, which can then be integrated and indexed with metadata from other sources, and ultimately made discoverable by library users. After all, no matter how well a repository takes care of a file, how well it keeps, preserves or displays it, it makes no sense to put an digital object into a system if you cannot find it later. The Libraries’ workflow and portions of code will be shared; issues and challenges involved will be discussed. While this case study is specific to Binghamton University Libraries, examples of strategies used at other institutions will also be introduced. This paper should be useful to anyone interested in describing large quantities of photographs or other materials with preexisting embedded metadata. Journal Paper Code4Lib Journal, 19 (2013). 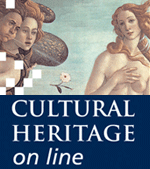 Conference Paper Proceedings of Cultural Heritage on line 2012, Florence, Italy, 12 December 2012. Fondazione Rinascimento Digitale. Libraries, Archives, and Museums (LAM), although approaching the problem of cultural heritage conservation from different perspectives, must all successfully curate and preserve digital content for future use. In order to investigate the convergence of digital curation education in North America, it is first necessary to identify the prevalence of courses within the various curricula. This study aims to provide an initial insight into the prevalence of courses offered that may provide training in the core competences of digital curators as identified in the DILL Delphi study of 2011 (Tammaro & Madrid, 2012). The current study illustrates the extent of courses in Libraries/Archives/Museums curricula in the North American context where students can learn at least some of the expertise required of the digital curator. American Library Association (ALA)-accredited programs in Library and Information Science (LIS) were analyzed to ascertain whether courses relevant to competences needed for digital curation were included in the curriculum. Preliminary results indicate that three-quarters of programs in the United States have courses that address to a reasonable extent at least one of the Operational Competences for digital curation; roughly two thirds of programs have a course that addresses the Managerial Competences. Programs tend to offer courses in Digital Libraries, Metadata, and Informatics that address Operational Competences; they offer courses in Management of Digital Records, Digital Curation, and Digital Preservation that address Managerial Competences. Book Neal-Schuman | 2011 | ISBN: 978-1-55570-749-1. Simultaneously published in England as Getting Started With Cloud Computing. London: Facet Publishing. ISBN: 978-1-85604-807-1. Cloud computing can save your library time and money by enabling convenient, on-demand network access to resources like servers and applications. Libraries that take advantage of the cloud have fewer IT headaches because data centers provide continuous updates and mobility that standard computing cannot easily provide - which means less time and energy spent on software, and more time and energy to devote to the library's day-to-day mission and services. In this timely book, leading Library and Information Technology Association experts demystify language, deflate hype and provide library-specific examples of real-world success that you can emulate to guarantee efficiency and savings. Among other valuable features, it will help you: select data access and file sharing services; build digital repositories; and, utilize other cloud computing applications in your library. Working together with this one-stop guide for implementing cloud computing, you and the cloud can save time and money, and build the information destination your users will love. Book Chapter Published in Getting Started with Cloud Computing: a LITA Guide, Corrado, Edward M. and Heather Lea Moulaison (eds. ), Neal-Schuman | 2011 | ISBN: 978-1-55570-749-1. Simultaneously published in England as Getting Started With Cloud Computing. London: Facet Publishing. ISBN: 978-1-85604-807-1. During the first decade of the current millennium, the term cloud computing has become almost ubiquitous in certain circles. Gmail is in the cloud. Facebook is in the cloud. Remotely hosted Integrated Library Systems (ILSs) are also in the cloud. The term cloud is on everyone’s lips, yet depending on the community, the term may well mean different things both in theory and in practice. While businesses may look to the cloud for low-cost solutions to data storage and computing power problems, libraries may be interested in targeted solutions for sharing data with other libraries and providing low-cost services to users. Many types of computing problems can benefit from the use of cloud computing solutions, but those solutions may involve a different set of considerations for libraries due in part to the nature of their mission and activities. Different models for deploying the cloud have made cloud computing an interesting proposition for businesses as well as for non-profits, and those involved with libraries and cultural heritage institutions are right to explore their options. This book is designed to help librarians and administrators think about cloud computing as a powerful technology, to consider some tools that are available for use in libraries, and to learn about the experiences of libraries already using these technologies. Book Chapter Published in Defining Relevancy: Managing the New Academic Library, Janet McNeil Hurlbert (Ed. ), Libraries Unlimited | 2008 | ISBN: 978-1-59158-419-3. Social software is all about sharing information. Scientists may use a blog to report findings to others in their field. Two or more colleagues may collaborate on a scholarly article using a wiki. Two professors may discuss a paper they are co-presenting at a conference using instant messaging or Internet relay chat. Sharing, expanding, and creating information is what scholarship is all about. The traditional role of librarians in terms of scholarship is preserving, organizing, and making information available. In social software environments, where are the librarians? If we accept the premise that social software is a new medium for scholarship, than librarians need to be able to adapt to this environment and find ways to maintain their role in scholarship and cope with the new medium. Librarians must still maintain their traditional roles and competencies, and by expanding into online social environments and taking advantage of social software, librarians and libraries will be able to remain relevant for years to come.